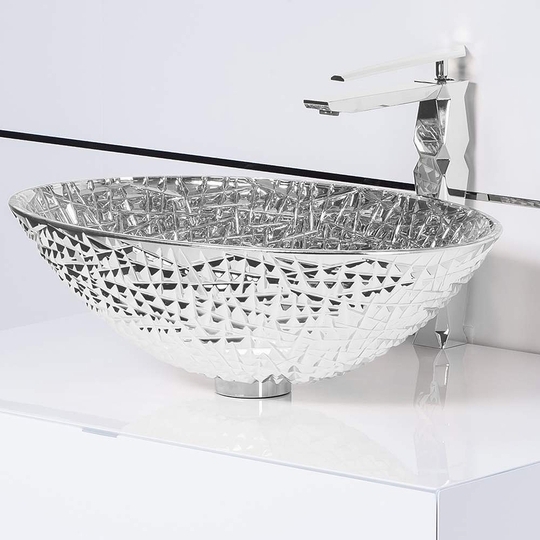 Brilliance with exceeding opulence, the De Medici Ice Oval vessel� sink, is an expertly�cut showpiece, royally formed into a master works of art. 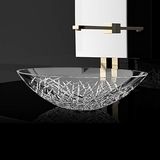 This vessel sink jewel, with its high grades of clarity, cut, and carat � ignites the attributes of a perfectly sculptured diamond. 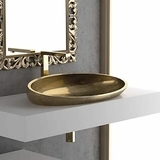 This luxury vessel� sink makes an intense statement with its ability to reflect light, and though it will compliment a contemporary style best, it will also enhance a transitional design setting. 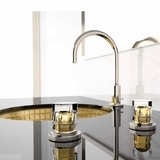 Made out of luxurious crystal based material enhanced with its true color. 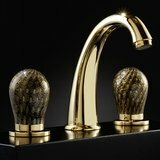 De Medici Ice Oval is available in designer inspired colors: Platinum, Gold, and Rose|Gold, and Silver. 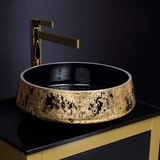 This luxury vessel�sink represents the brilliance of jewels synonymous with sophistication to your bath or powder room. Countertop installation ensures this sink will stand out in your bathroom as a striking focal point. 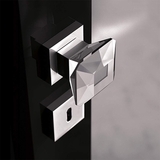 Cristallo De Medici is one of the most exquisite and cutting�edge crystal design materials made of pure crystal with a 24%l lead content. 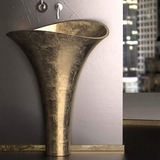 These products are mouth�blown & beveled in by hand. Cristallo De Medici is unique making it suitable for most luxury design applications.